My next project starts previews tonight. 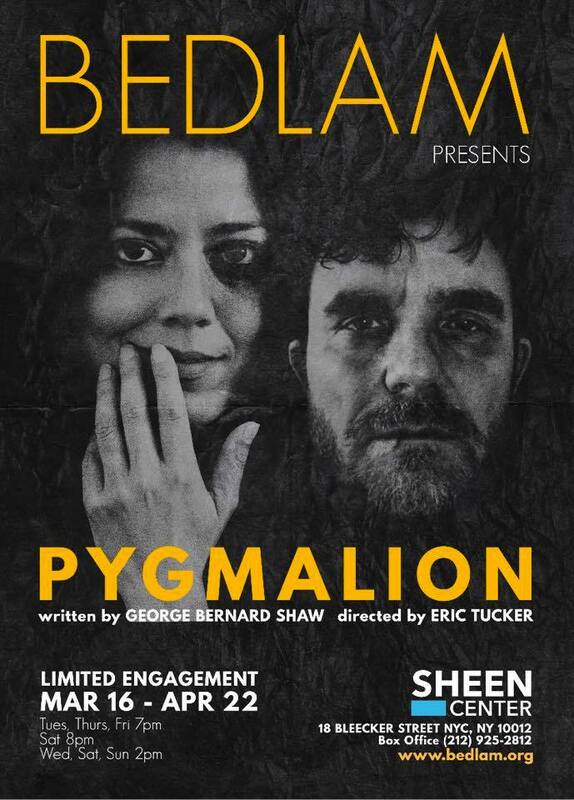 BEDLAM's production of Pygmalion by George Bernard Shaw and directed by Eric Tucker runs at the Sheen Center in NYC March 16th through April 22nd. It promises to be a production that will challenge your understanding of this iconic story and that will challenge your ideas of how socio-economic class and race contribute to identity and our perception of others. And it will make you laugh.